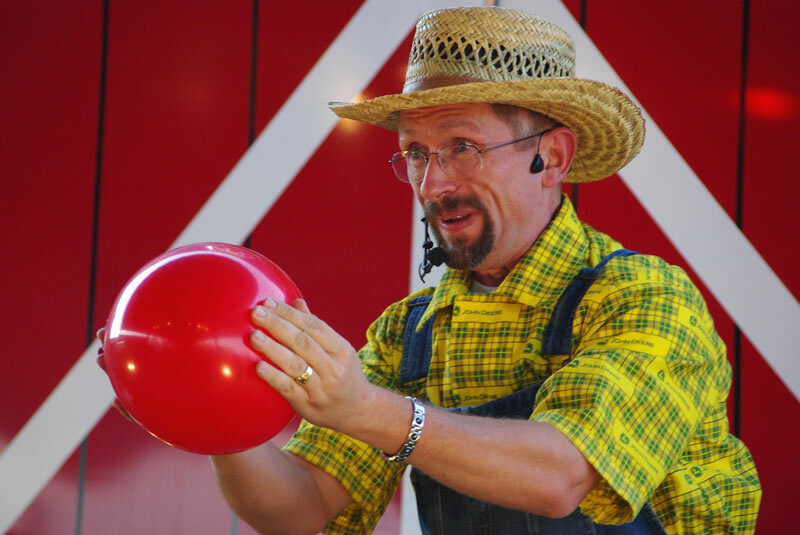 Friendly Farmers Barn Yard Review is a two person, farm themed, family variety show which includes agricultural information, farm safety tips, comedy, music, art, farm themed magic and illusions. Each show features Farmer Zak (Your Friendly Farmer), Miss Amanda (His Trusty, But Silly Side-Kick), Hammy Faye (Fantastic Dancer and Jokester) and Elvis Holstein (with a Truly Moooo-ving Elvis Style Tribute to the Bovine). With something for all ages this show will wow the crowds at your fair.